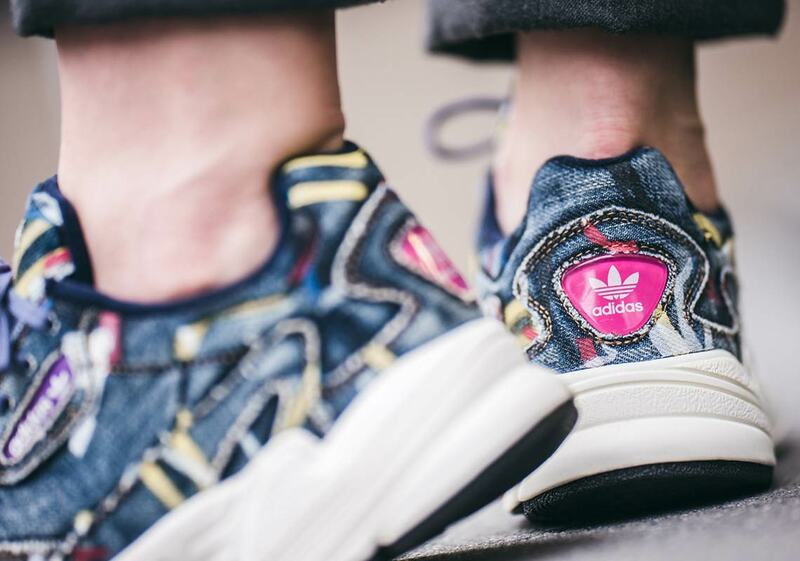 Since its original release in 2018, the women’s-only adidas Falcon has become one of the Trefoil Brand’s strongest lifestyle silhouettes. 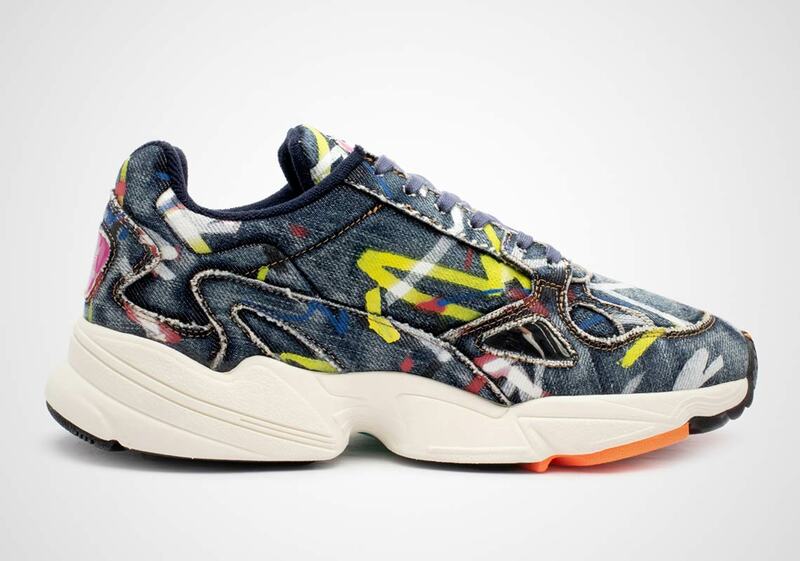 With a look that’s just ’90s enough while still remaining sufficiently sporty, a plethora of colorways, and an ever-important Kylie Jenner co-sign, the Falcon is looking to soar into the spring season — and now it’s surfaced in a brand-new denim makeup, complete with aged detailing and abstract paint mark hits. 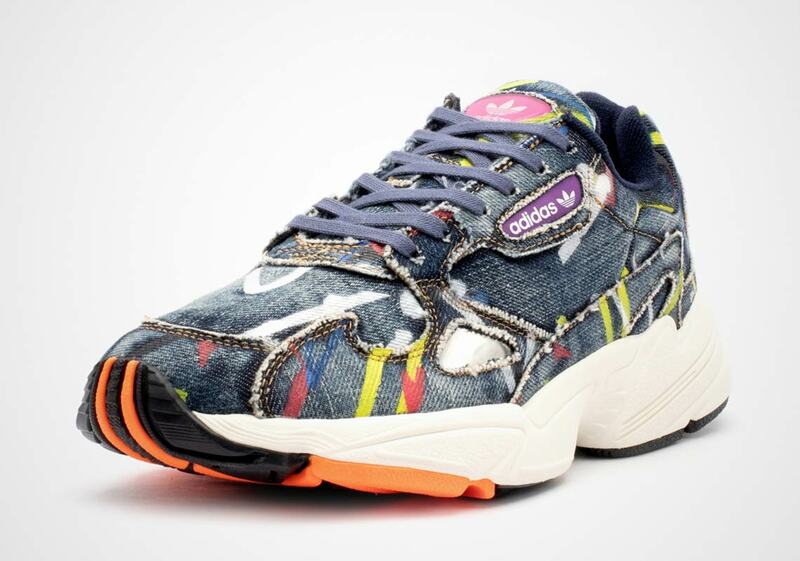 Playing off the shoe’s retro aesthetic masterfully, the upper is constructed entirely of a stone-washed denim material, faded and frayed at the seams just enough to show its “age.” It’s then adorned with abstract yellow, blue, and red paint streaks to add a touch of unique artistic flair. 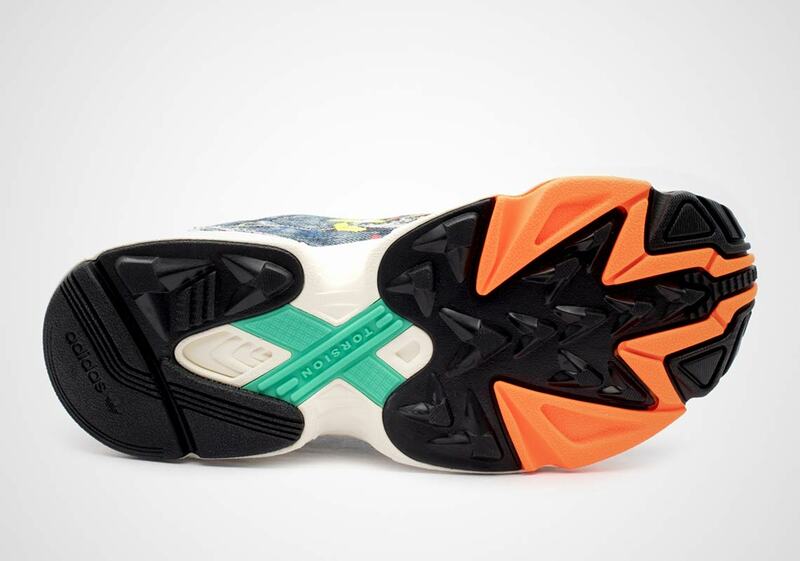 A purple heel badge finalizes the upper’s contrast, and a simple white midsole/black-orange outsole ensures that the eye-catching upper stands out as much as possible. 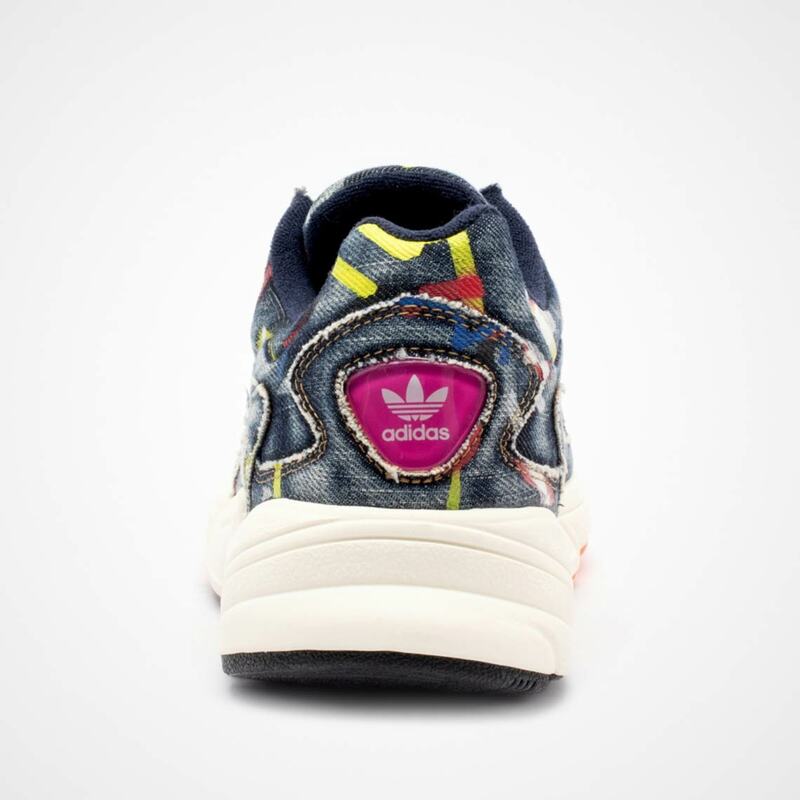 These well-loved Falcons will release soon at the adidas stockists below, with a slightly raised retail price of $120 USD to account for their premium construction. 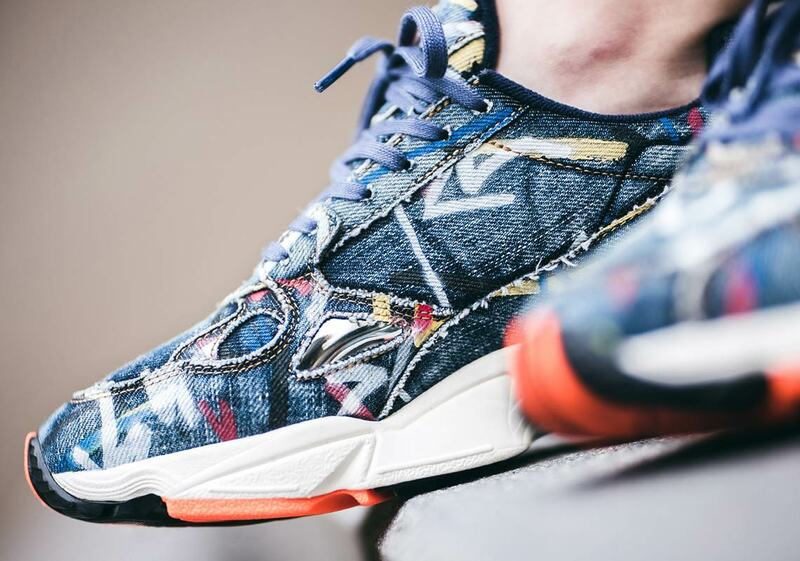 The post The adidas Falcon Gets A Paint-Marked Denim Upper appeared first on Sneaker News.